HEINE A.R. 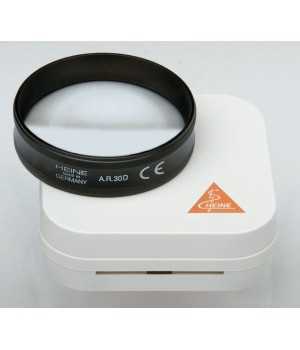 30 D Aspheric Ophthalmoscopy Lens 46 mm dia. Advanced triple multicoating. Reduced reflection, excellent light transmission. Lens curvature matches that of the retina. Perfect, distortion-free retinal image.